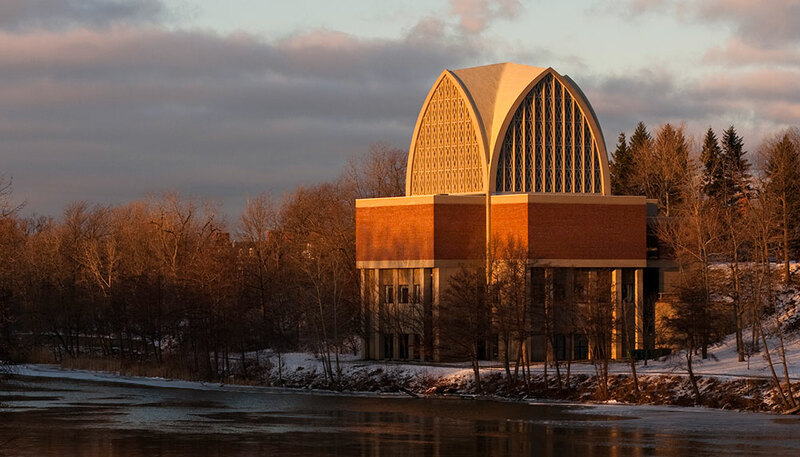 Location: The 154-acre River Campus—the main campus—is located about two miles south of downtown Rochester, New York, by a bend in the Genesee River. The Eastman Quadrangle is named for University benefactor and Eastman Kodak founder George Eastman. 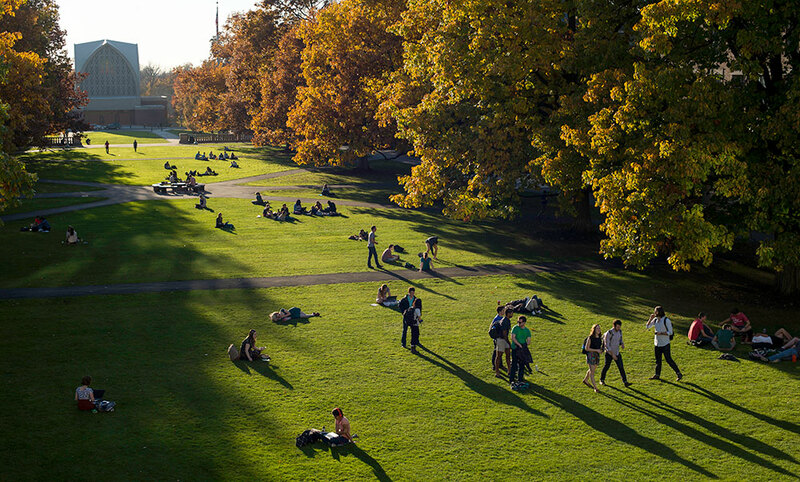 The centerpiece of the River Campus, the "Quad," is the academic home of the Faculty of Arts, Sciences and Engineering, defined by the original River Campus buildings—including the landmark Rush Rhees Library—that were opened to students in 1930. 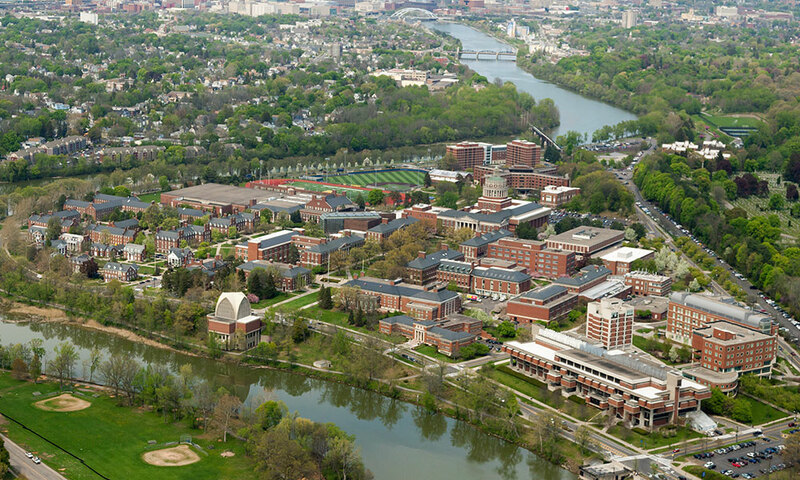 The River Campus is also home to Simon Business School and the Warner School of Education. 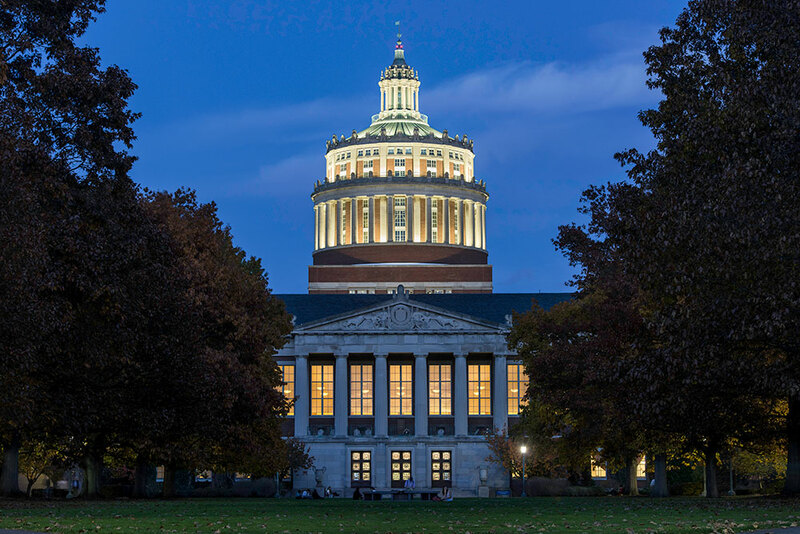 Rush Rhees Library—The dome of this majestic building, the University's central library, is the institution's unofficial symbol and a community landmark. The Hopeman Memorial Carillon, one of only six in New York State and some 180 carillons on the entire continent, is housed here. 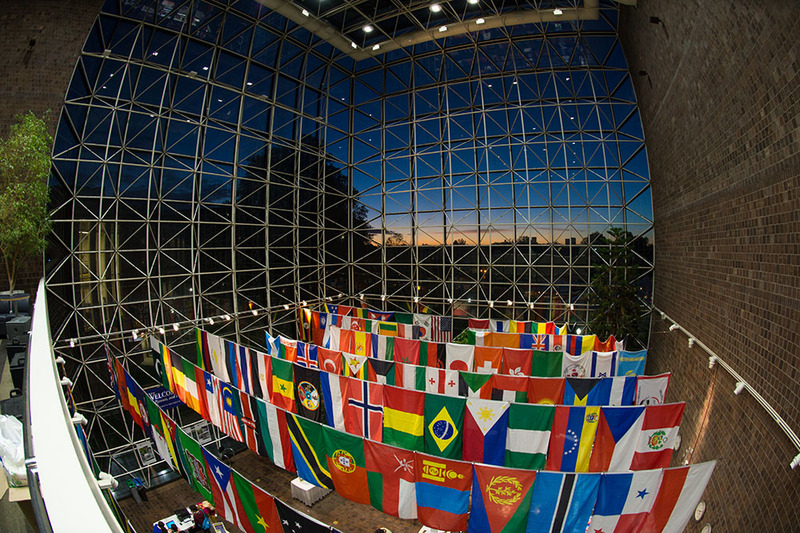 Wilson Commons—Designed by the internationally renowned architect I. M. Pei, the University student center includes a stunning six-story glass atrium, which is adorned with flags representative of that year's student body country of origin. 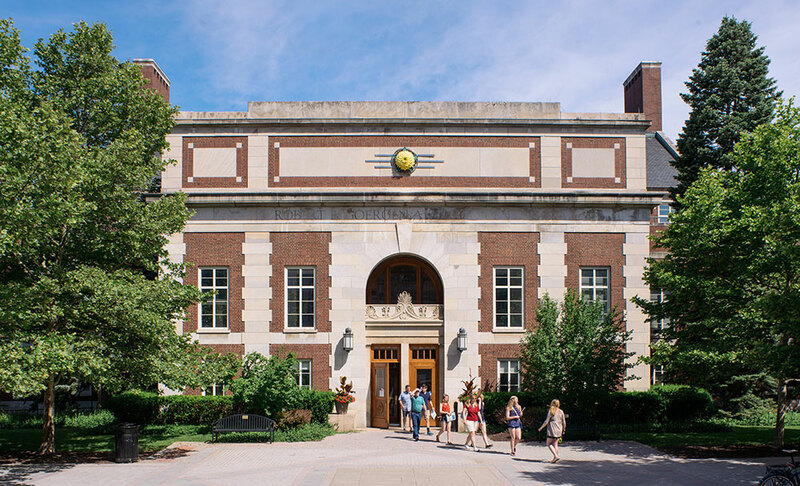 Robert B. Goergen Hall for Biomedical Engineering and Optics— Goergen Hall is the home of both the Institute of Optics—founded in 1929, it is the nation's first academic program in optics—and biomedical engineering—one of the College's newest and fastest growing departments. 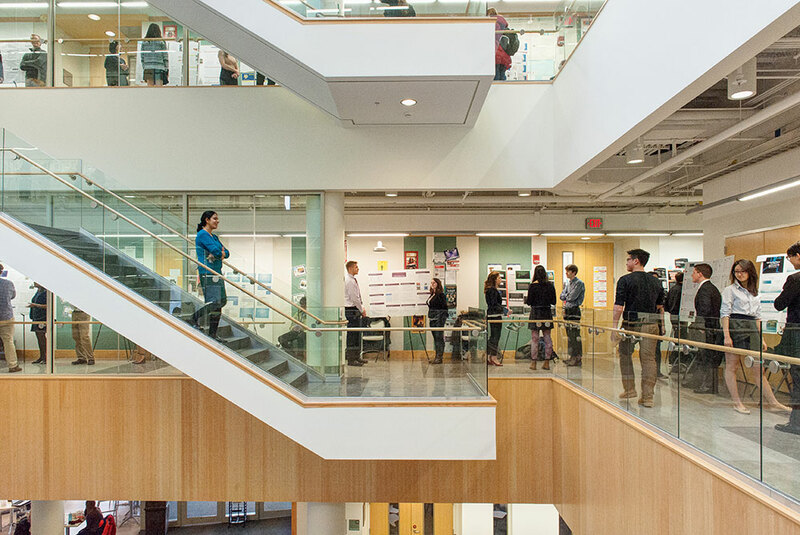 Goergen Hall is the first campus building designed with the sustainability standards set by the Leadership in Energy and Environmental Design (LEED) program in mind. 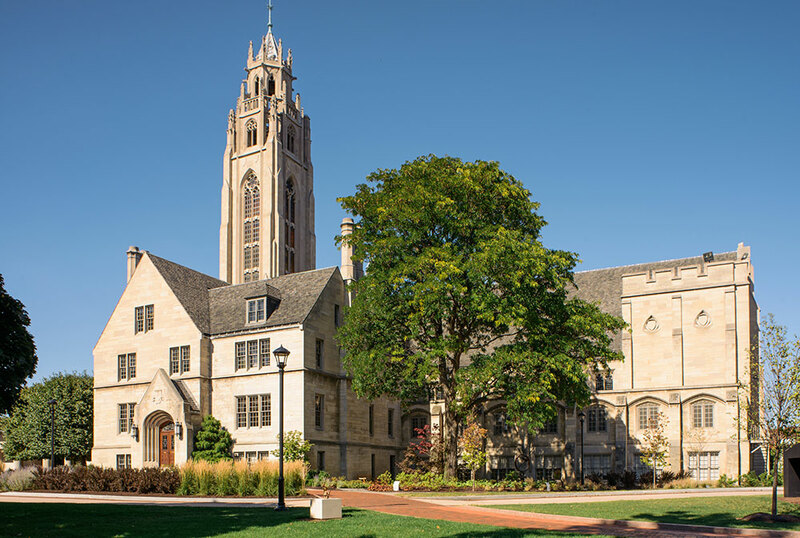 Robert B. Goergen Athletic Center—Features the Edmund A. Hajim Alumni Gymnasium, an 11,000-square-foot fitness center with state-of-the-art fitness equipment, locker rooms, and a multi-activity center. The athletic center also houses the Louis Alexander Palestra, home for University intercollegiate basketball and volleyball, with permanent seating for 2,200; a field house, with a 200-meter track and synthetic activity infield; and the Speegle-Wilbraham Aquatic Center; as well as tennis, squash, and racquetball facilities. 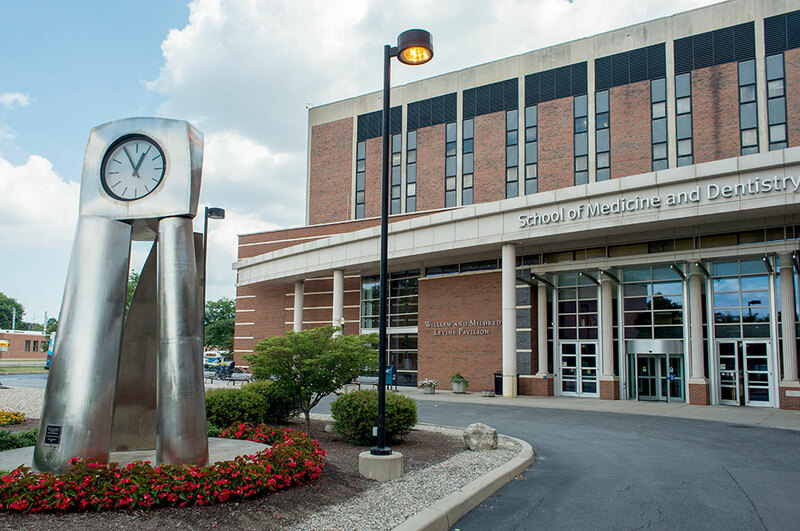 A nucleus of medical research, education, and patient care, the Medical Center includes the School of Medicine & Dentistry, the School of Nursing, Strong Memorial Hospital, Golisano Children's Hospital, Wilmot Cancer Institute and Eastman Institute for Oral Health. 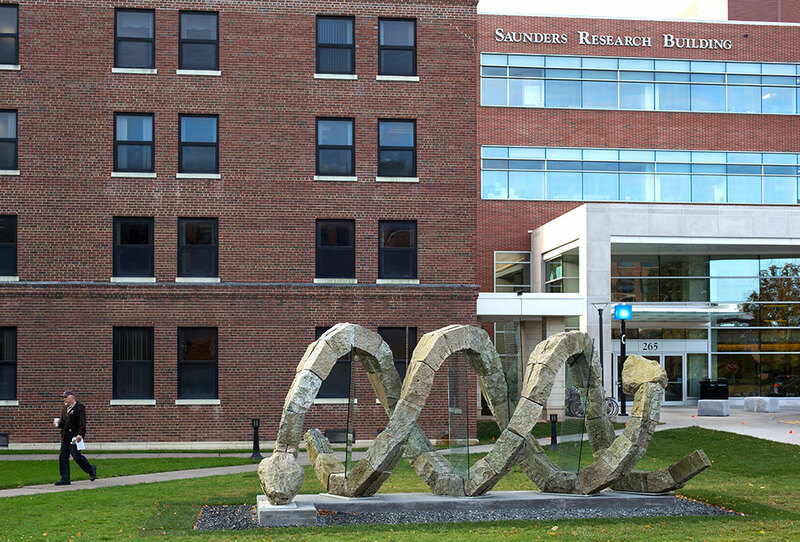 Clinical and Translational Sciences Building—Housed in the Saunders Research Building, CTSI is one of 60 institutions nationwide with funding from the National Institutes of Health to lead the emerging field of clinical and translational research. Arthur Kornberg Medical Research Building—The centerpiece of a $500 million expansion of the School of Medicine and Dentistry's basic science programs, the 240,000 square-foot is home to the Aab Institute of Biomedical Sciences. Location: Eastman's downtown campus, located on Gibbs Street, is in the heart of Rochester's cultural district. 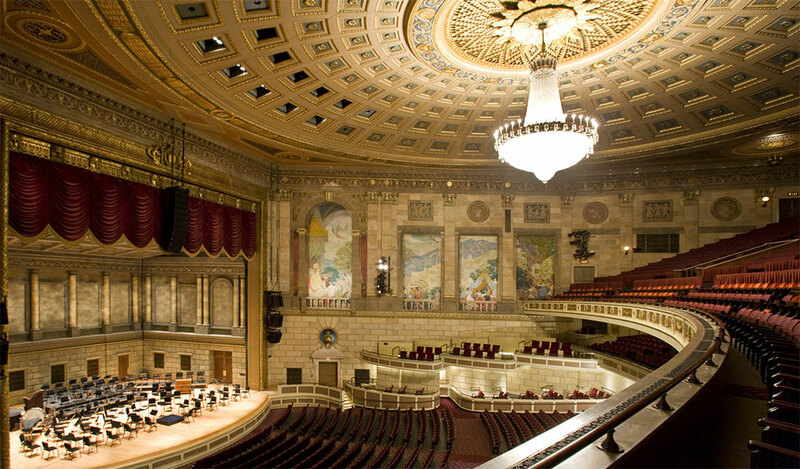 In addition to Eastman's large ensembles, the Rochester Philharmonic Orchestra is based in Eastman Theatre, and the Rochester International Jazz Festival and Fringe Festival fill venues in and around campus each June. 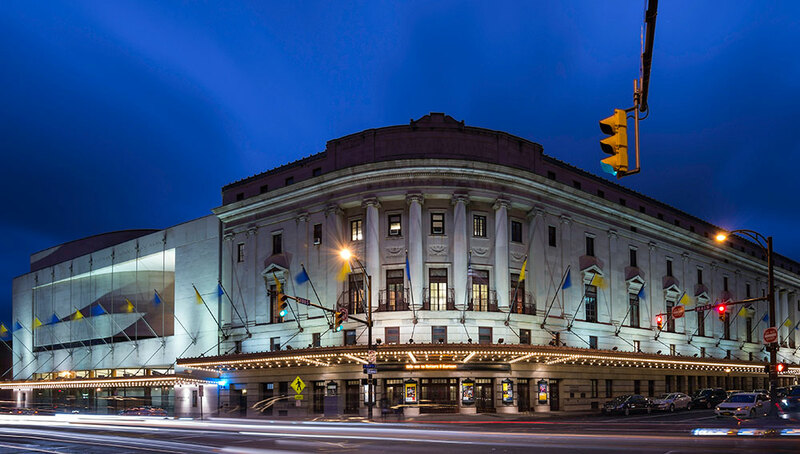 The renovation of Eastman Theatre stage, a two-phase endeavor, was completed in October 2009. 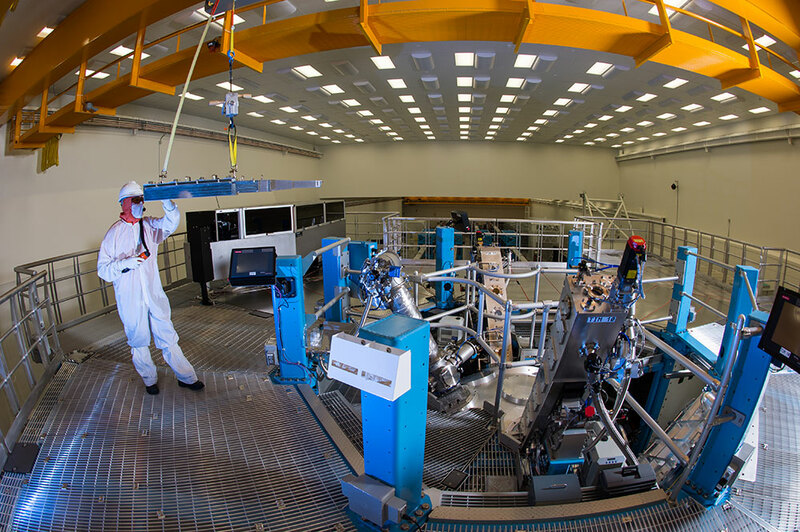 The greatly improved stage includes, among other things, a stunning new custom shell that will enhance acoustics; an improved orchestra pit, with all-new mechanics and hydraulics; new rigging; and improved stage lighting. The new Eastman East Wing, adjacent and connected to the theatre, features the 222-seat Hatch Recital Hall, faculty teaching studios, a rehearsal room, a recording studio, and the Wolk Atrium, which is illuminated by a Dale Chihuly blue-and-gold chandelier.